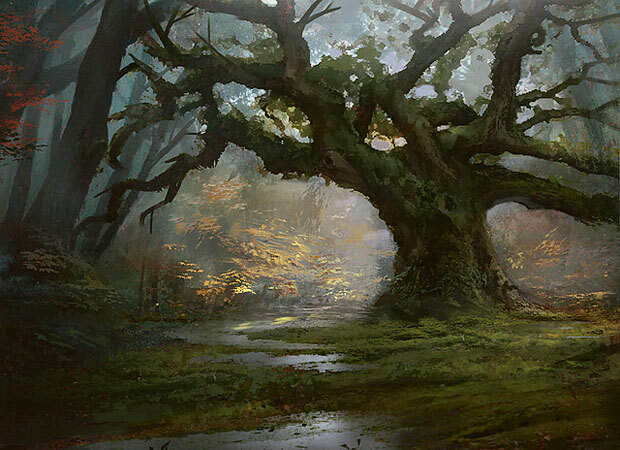 In the hinterlands around Storm's Landing, rumor is that something is lurking in the woodland. Farmers report missing livestock and strange sounds at night, while hunters venture into the woods for game infrequently find mutilated corpses gouged deeply by the claws of some animal not native to the region. Some of the townsfolk lay blame on spirits, some of the more level heads blame it on wolves. Whatever the pattern, the only piece of evidence is that it has coincided with the migratory pattern of deer bringing them closer to the region. The mayor guy of Storm's Landing has put out a bounty of one thousand radiants to whoever can discover and deal with whatever is leaving mutilated animal corpses in the woods and stealing livestock. a personal note: this is me toying with a really common monster seen in events, and i'm sure most of you have an idea of what it is already. but this is my partucilar take on it, so even don't expect all of the usual. Can halbed have its wendigos back pl0x? Maybe this should be added to the calendar? 6 PM what time zone? oh yeah not everyone is est. est time zone. Event in approximately 40 minutes. Sadly I wasn't able to stay for the whole event, but I enjoyed the small portion that I did get to experience!